Our newest book, When Strong Winds Blow, was written by high school student Luke Thomley, a volunteer with Headwaters Relief since the age of 7, and his grandmother, Marya Hage, a licensed psychologist and seasoned Red Cross mental health disaster respondent. Both felt a strong need for the children of the Philippines to understand more about their feelings after Typhoon Haiyan, a super typhoon that hit the Philippines on November 8, 2013. The book also offers steps for adults and children to take to prepare before, during and after a major storm. 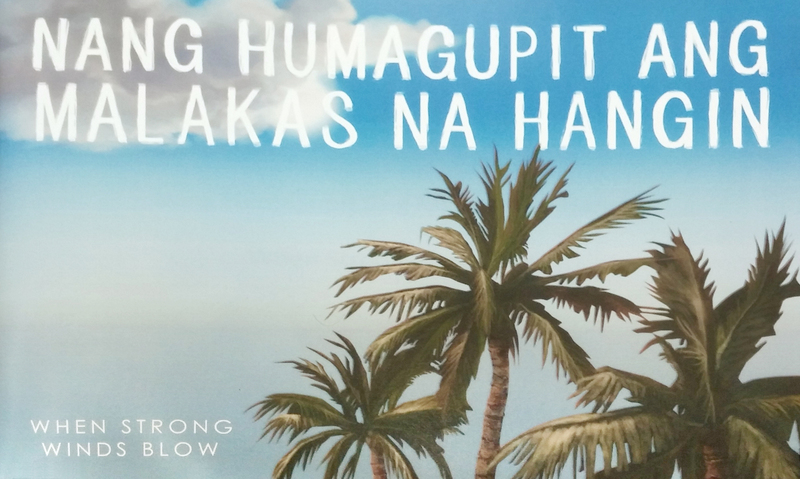 When Strong Winds Blow is written in Tagalog with translations in English. On November 8, 2013 Typhoon Haiyan struck Southeast Asia creating widespread devastation and taking more than 6,000 lives. The Philippines were among the hardest area to be hit by the super typhoon, currently the strongest storm ever recorded on land. The United Nations estimates that more than 11 million people have been affected by Typhoon Haiyan, many of them children. Help support our efforts for a return trip by purchasing a copy of the book or by making a donation today. About the Authors: Minnesota native Luke Thomley began volunteering with Headwaters Relief Organization at the age of 7 and has worked on multiple disasters in the years since. He traveled with a first-response medical team to Tacloban in the Philippines after the 2013 super-typhoon. He currently attends St. Paul Conservatory for the Performing Arts. Luke’s grandmother, Marya Hage, is a licensed psychologist practicing in mental health and grief counseling. She has served on the Red Cross Mental Health Team since 1992 through many disasters and has worked with Headwaters Relief Organization since its inception. About the Illustrators: Kathleen Holz was born and raised in Duluth, Minnesota. She is a founding member of Headwaters Relief Organization. Working with people and art has always been her passion. Dennis Lo was born in Hong Kong and moved to the United States in 1999. He is a comic book artist and illustrator, and teaches part-time at the Minneapolis College of Art and Design.